Mark your calendar!! 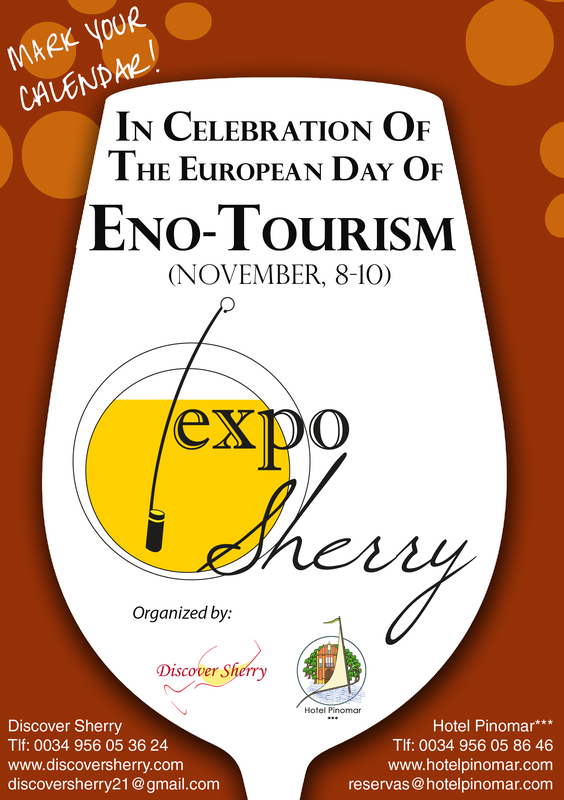 Great events organized by Discover Sherry and Hotel Pinomar will take place in November. 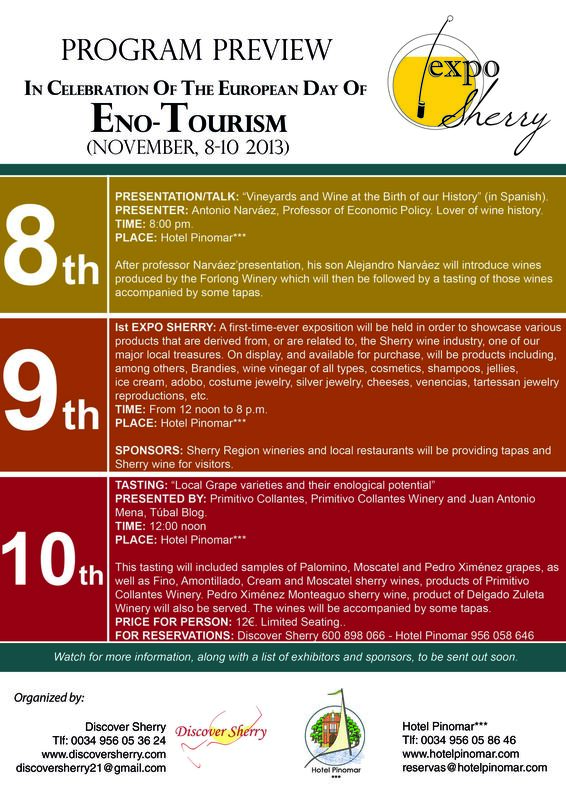 There will be a talk on wine in the beginning of our history, a tasting and for the first time, an EXPO SHERRY where you will be able to check out, try and buy products derived from or related to Sherry. Don´t miss it! !